Advanced Cosmetic Surgery and Laser Center offers the most recent and up to date procedures and equipment with respect to laser technology. Our Cincinnati center has numerous laser machines and other equipment to provide the fastest laser treatments with as little pain as possible. Our AAAHC certified center and our highly qualified team will always provide you with the very best customer service and care that you’ll find anywhere in Cincinnati. Check out all of laser technology options by exploring our website. When you are ready to try a little laser treatment of your own, just give us a call at 513-651-HAIR (4247)! If surgery isn’t an option for you, or if you would like to try an alternative method to stimulating hair regrowth, we encourage you to try one of our new laser technologies offered exclusively at our Cincinnati location. Advanced Cosmetic Surgery and Laser Center now offers Capillus, iGrow, and Luce Laser Light Treatments to our customers seeking a less invasive and more refined option for hair loss prevention and treatment. All of our certified technicians and staff are qualified to discuss these options with you. Ready to learn more? Give us a call today at 513-651-HAIR (4247)! Low Level Laser Therapy stabilizes the progression of hair loss in 90% of men and women and promotes re-growth in approximately 50%. 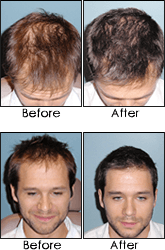 Low Level Laser Therapy (LLLT) is the most advanced hair loss treatment available. This breakthrough technology uses infrared light therapy to stimulate hair growth in both mail and female pattern hair loss. . Until now, Rogaine has been the only medical treatment for female pattern hair loss. Low Level Laser Therapy is a wonderful option for both men and women today. With Low Level Laser Therapy, we can achieve stabilization of progression of hair loss in 90% of patients and it can regrow hair in approximately 50% of men and women. We are proud to be able to offer any customer coming into our Cincinnati location a chance to experience the Capillus LLLT system. 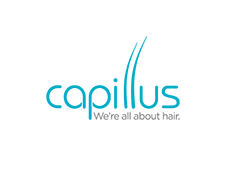 Capillus utilizes low-level laser light in order to stimulate hair follicles and stop hair prevention. Capillus is a popular option because it is very easy to transport, fits comfortably on the head, and can be easily covered with a baseball cap or other headwear. One specific version, the Capillus272, utilizes 272 diodes with no LED light, which is the absolute best in the low level laser light therapy field. These diodes, when used as prescribed, have been shown to not only stop hair loss, but also encourage new air growth. For more information about the Capillus system, click here. The Luce Laser Light Treatment is a new, state-of-the-art treatment option that recently gained widespread popularity in Europe and North America. When you visit our Cincinnati center, one of our certified professionals will walk you through the laser process. The Luce LDS 100 uses low-level heat and energy to massage and stimulate the scalp, encouraging growth, and expanding the pores. This increases blood circulation, cellular metabolism, and oxygen supply, which allows your scalp the best chance to experience hair regrowth. The approach is not invasive and is a totally painless option, like all LLLT options. Call us today to learn more about low-level laser light therapy or schedule an appointment now to see which of these options is best for you! Click here for more information about LaserCap. No. Low Level Laser Therapy is non-invasive. There is no burning, no UV radiation, no pain or discomfort to the patient whatsoever. Patients are immediately able to resume their regular activities. Low Level Laser Therapy is designed for anyone just starting hair loss. Men and women alike can benefit from treatment. Dr. Mendelsohn provides two weeks of Low Level Laser Therapy treatment at no charge to surgery patients to assist in the healing process and accelerate the growth of grafted hair. Patients sit for 30 minutes per session under a light-emitting device, watching movies or reading magazines. It’s that simple. of hairs from the resting phase to the growing phase. Low Level Laser Therapy stabilizes progression of hair loss in 90% of men and women and prompts re-growth in approximately 50% of patients. Low Level Laser Therapy also repairs and improves the quality of hair to make it fuller, softer, and more manageable.